Author: Roger Bradshaw Publisher: Author, 2011. 342 pages. Price £14.99. Available from Waterstones. Roger Bradshaw’s, A History of Silsoe, is both fascinating and frustrating. 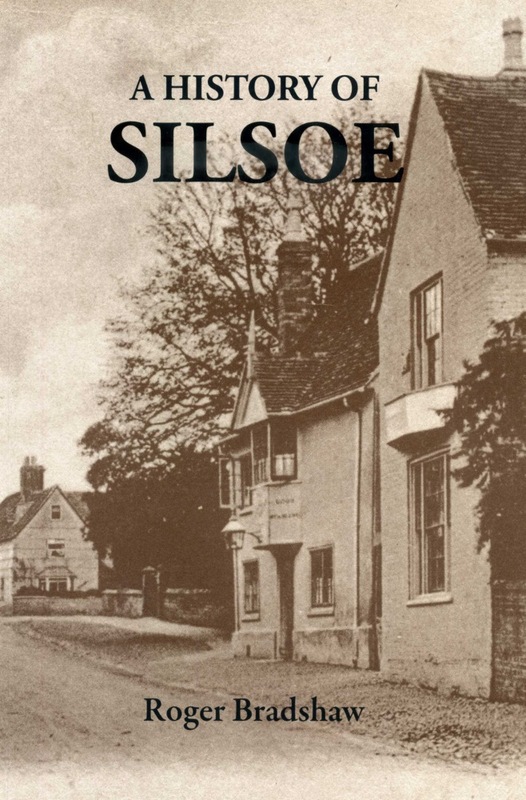 Fascinating because of the encyclopaedic information provided about many aspects of Silsoe’s history, much of which has not been published elsewhere. Frustrating because of the book’s odd ‘topical’ structure – “Silsoe and the Military”, “Health and Safety or Swords can be Sharp” - which the author has adopted to aid school projects. The book starts with two short chapters on “Introduction” and “The Early History of Silsoe until the 17th Century”. These are probably the least successful and useful sections, written in an old-fashioned style reminiscent of late-Victorian/Edwardian ‘local histories’. Chapter 1 has useful information on the likely derivation of the parish name and its boundaries, but then ranges over “topography”, “hydrology”, “wells”, “geology”, “landscape”, “the environment”, “flora” and “fauna”. Much of chapter 2 (“The Early History”) comprises snippets of often unrelated facts about discoveries in surrounding areas, and general history and some speculation (for example, as to whether Silsoe was devastated by the conquering Norman army, or the impact of the Black Death). This detracts from what is otherwise a generally well-written and thoroughly-researched volume. Thereafter, as documentary sources become available, the author gets into his stride, with excellent detailed authoritative chapters, including Silsoe Manors, Wrest Park, the Chapel, Chantry and Church, local governance, education, trades, farms and farming, transport and communications, ale houses, pubs and inns, and people and families – the latter particularly interesting for anyone with family or social ties to the village. These sections are well-illustrated with photographs and maps, including some colour plates. My only criticism would be that whilst the author makes intensive and good use of, for example, published sources such as Directories, the Census, parish and land records, other sources such as – for law and order – the Quarter Session Records or the establishment records of the County Police Force are ignored. Overall, though a very welcome addition to the County’s literature and an excellent source for those interested in the history of this important village. Rating: ‘must read’ for anyone with ties to Silsoe; ‘should buy’ for local historians and researchers – it deserves a place on your bookshelf.